CMB Export, LLC, CMB investments have achieved a 100% success rate for their investor clients I-526 petitions while creating ten new American jobs as required under the USCIS investor visa program. CMB Export's Midwest executive office is located in Moline, Illinois. CMB Export's Regional Center consists of six former military bases in California. CMB is one of the oldest INS designated Regional Centers (1997). This designation was reauthorized in 2007 by the U.S. Citizenship and Immigration Services (USCIS). EB5 investments within the CMB Regional Center are required to create 10 new full time jobs. These are new American jobs. These are jobs that are being created at no cost to the United States Government. CMB investments are made into areas of high unemployment that were created when the former military bases were closed or realigned. CMB Export, LLC targets infrastructure investments in these former military bases through a public/private partnership. These partnerships are with the government entities charged with re-use of the bases or the Master Base Developers. Infrastructure is the foundation for all future development and the jobs that follow. Infrastructure is the most difficult component of development to fund. These investments target the roads, bridges, water, sewer and communications that are required by almost every new business. There is no income generation until something is built upon the basic infrastructure. CMB investments provide time for the infrastructure to begin to pay for itself. CMB has experienced unprecedented success in following this investment model. If you build it they will come is our motto. CMB investors are able to meet and exceed the requirements placed upon the immigrant investor by the USCIS. A Note: Consider the current stimulus package of today. The United States Government would be required to prove that 16 million new full-time jobs were created out of the recent $800 billion economic stimulus bill if they were held to the same constraints as the EB-5 investor. This would bring the United States to a level of zero unemployment. This EB-5 visa program is a powerful job creation tool! Our first project, CMB Investment Group A was a $5 million infrastructure investment, 10 investor group that partnered with the Inland Valley Development Agency at the former Norton Air Force Base in San Bernardino, California. Our second project, CMB Investment Group B was a $7 million (14 investor) infrastructure investment. Both projects helped to secure the new $295 million Stater Bros. Distribution Center at the former base and the estimated 2,500 jobs that will follow. Remember these are new full-time American jobs and these are paying an average of $38/per hour. Our third project, CMB Infrastructure Investment Group I is fully subscribed. A $20 million infrastructure investment into two former military bases. $14 million is being invested into the former Norton Air Force Base and $6 million is being invested into the former McClellan Air Force Base in Sacramento, both in California. 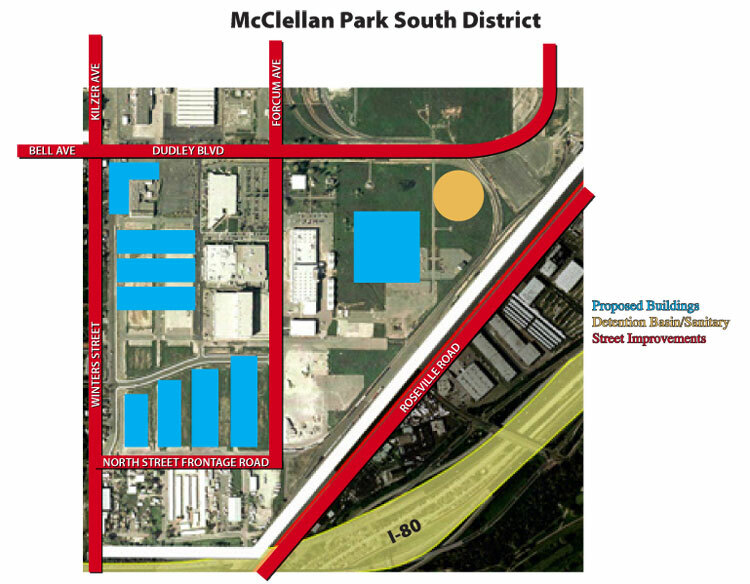 McClellan Park is the master developer of this former military base. McClellan Air Force base was the home to 13,500 employees until it was closed in 1995. $200 million in yearly payroll was lost and the impact to the regional economy was estimated to be a loss of $1.5 billion. McClellan Park has become the home to over 240 diverse tenants who employ over 15,000 workers. Over 70 % of the available space is currently under lease. CMB Infrastructure Investment Group II follows Group I and is a $26 million, 52 investor group involving these same two highly successful target infrastructure investments. CMB will continue its focus on infrastructure and the large number of new American jobs that follow. These are true "at risk" investments into deserving areas of the US economy. In our current economic times immigrant investment and EB-5 are a win/win for the US economy and the immigrant investor. Millions of dollars are being invested to create jobs in these economically depressed regions of the United States.